Time to get those ovens preheating and start making all the creepy, adorable and scary Halloween cookie recipes! I promise if you are needing something fantastic to take to your kid’s party at school, church event or are looking for something tasty to eat you have come to the right place. There are so many fun ideas and recipes when it comes to Halloween, and you will be shocked how quickly you can whip up a batch. These holiday cookies are so fun to make that you can probably round up some little helpers and taste testers! Now is the time to get out those cookie sheets, cookie cutters, and rolling pins because it is time to get busy baking. If you have never tried making cookies with a cake mix, you should definitely give it a shot. These adorable monsters are begging for you to take a bite of out them. Join my Facebook group to share your recipes and get new ideas. Spiderweb sandwich cookies are an elegant Halloween treat and would go nicely with a giant glass of milk. Perfect for your next party! Children old and young are going to fall in love with these simple mummy cookies because they are so cute! You can get the cookies baked and assembled in no time at all. These endearing little spider cookies are fantastic for little kids. 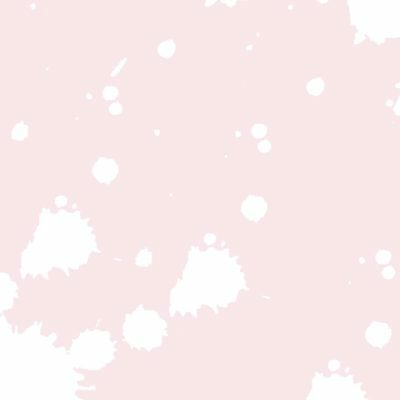 They will love to help make them, and they aren’t too creepy! 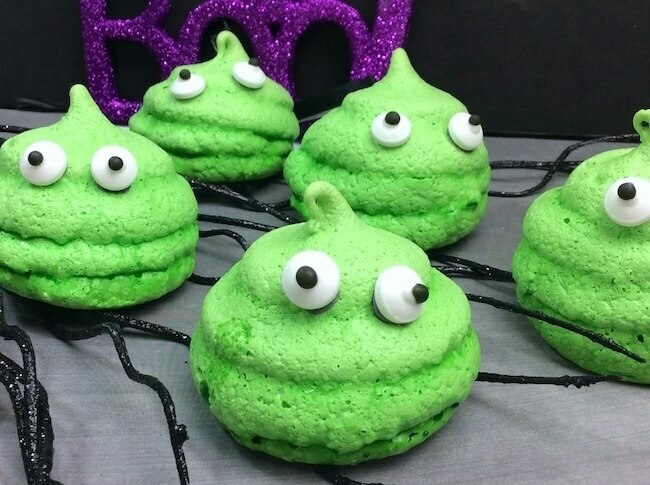 Halloween will never be the same after you make these spooky slime cookies because they are going to become a new family favorite. The spine-chilling creature in the wall cookies that are sure to add some pizzazz to your Halloween party! They are extra scary too. Take a look at these festive Halloween sprinkle cookies. They have lots of vibrant colors and taste amazing. Spooky Frankenstein’s Monster and Bride cookies will be a crowd pleaser. Plus, you are going to be thrilled with how simple they are to make! You need these pumpkin cookies in your life! They not only look fantastic, but they have the perfect amount of spicy goodness. These vibrant monster cookies are a blast to make, and they will be the life of the party! If you leave these wicked witch finger cookies laying around you can expect to hear a few blood-curdling screams. They look like real fingers! Craving chocolate? It would help if you made these decadent hairy spider cookies that have yummy rich dark chocolate. Don’t be afraid of these darling bat sugar cookies with sprinkles and royal icing! Let these be the cure to your sweet tooth. 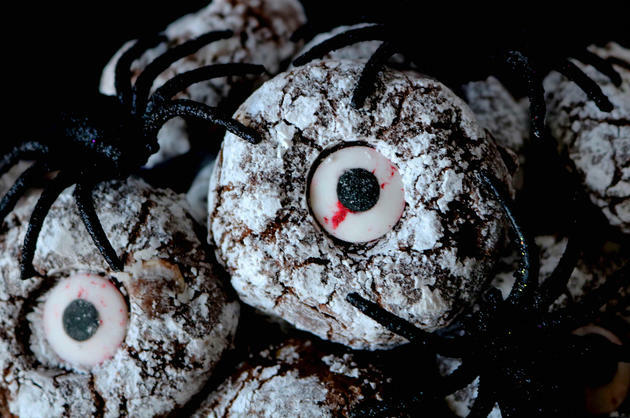 Eerie cyclops Halloween cookies that you can make ahead of time and freeze to eat later. You just might want to watch out, so you don’t forget you put them in the freezer and get spooked. If you are looking for something that is cute and friendly for a Halloween treat you should take a look at these cinnamon spritz owl cookies. Mint chocolate chip meringue cookies will knock your socks off, and even more importantly they have less sugar than regular meringue! Spooky spider cookies are just what you need. The royal icing makes them look like they were made professionally in a bakery. Making these terrifying ghost cookies on a stick should be on your next to do list. I love how easy they are to whip up and how delicious they taste. These killer pumpkin banana cookies may cause people to let out some blood-curdling screams! I am only kidding, but they look fantastic and scary. If you are looking for something that is a no-bake cookie, you should try these witch hat cookies. They couldn’t be any easier, and you need very few ingredients. 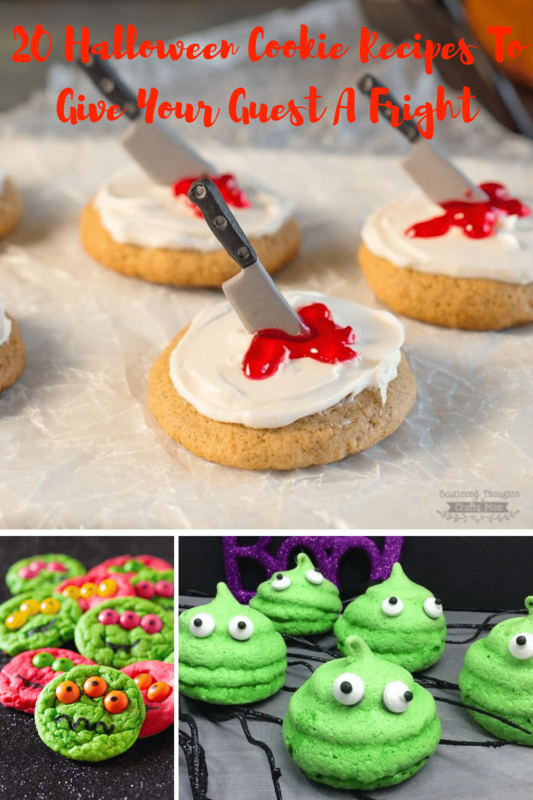 Check these other cool Halloween cookies and DIYs out too! 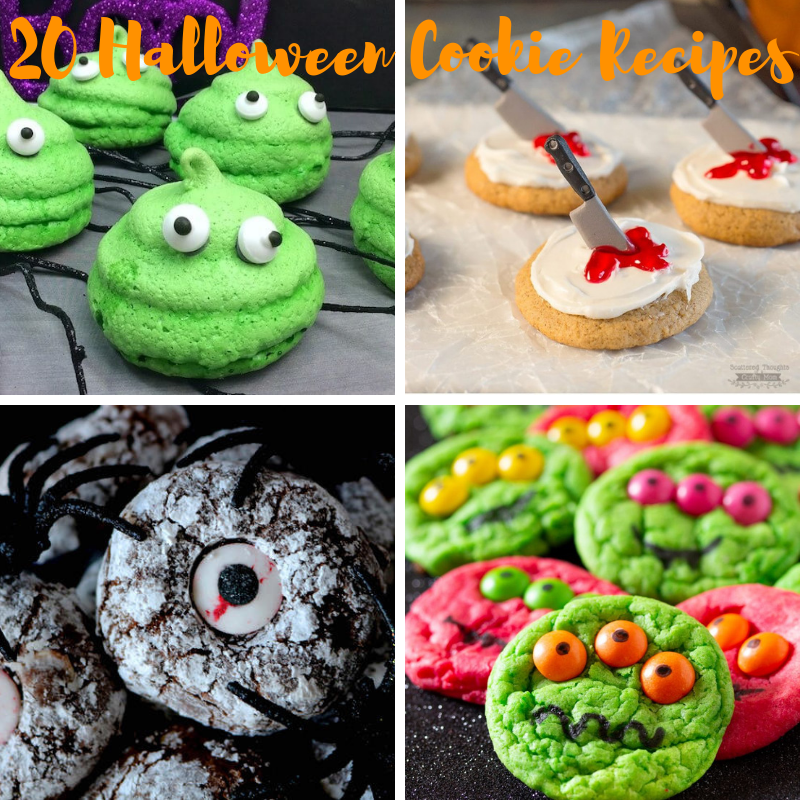 What is your favorite Halloween cookie recipes? We would love to hear your comments below. 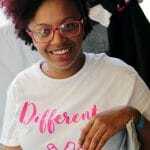 You can learn more about me and my blog here.